The Department of Defense’s cyber warriors have started using the first cyber training platform developed by the military specifically for their needs. The Persistent Cyber Training Environment will allow the operational cyber force to conduct large scale training as well as to rehearse for specific missions. Such a capability for cyber forces does not currently exist. 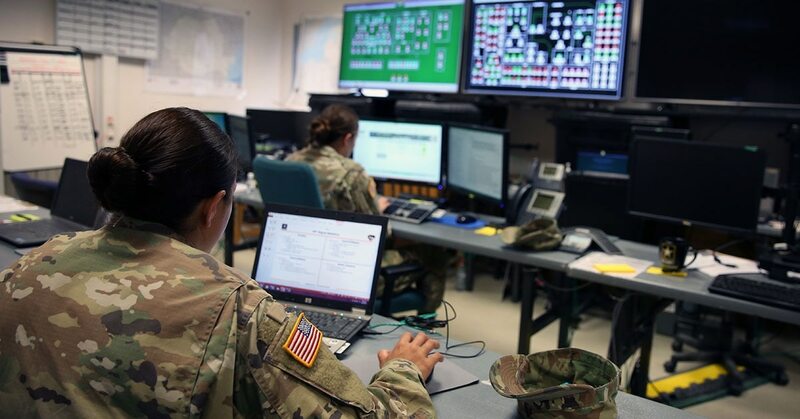 In February, members of the PCTE program office, which the Army is executing on behalf of the joint force, took the first working prototype to a joint cyber exercise called Cyber Anvil. Now, with what the Army is calling prototype B, cyber mission force teams from five different time zones, seven geographic locations with over 100 participants from across the joint force can simultaneously plug in. In addition, personnel can create training content and use virtual environments to play along with a scenario, Liz Bledsoe, deputy product manager for PCTE, told Fifth Domain in April. During Cyber Anvil, staff using the PCTE platform learned through a game called Capture the Packet, which is a “Capture the Flag” type event in which teams hunt an attacker inside a simulated network, Lt. Col. Thomas Monaghan, product manager for PCTE, told Fifth Domain. Bledsoe added that the next prototype, prototype C, is expected to drop in July and will include a greater ability for planners to test trainees. The training environment was also used in a March exercise called Cyber Valhalla, which focused more on offensive cyber actions. Monaghan said operators have not previously been able to conduct training with multiple teams simultaneously plugging in from across the world. Now, organizers can rapidly create a training environment, training content, training scenario, save it, store it, share it, pull it back down, tweak it, update it and modify it. In the past, such training took significantly longer. A network and training environment constructed for an event a year ago took several months, he said, while the network for the recent exercises was built in two hours and then distributed. For the program office, the exercises are also a way to gain valuable user feedback.